The women’s team compound competition at the 2013 World Archery Championships took place from 29 September–6 October 2013 in Belek, Turkey. 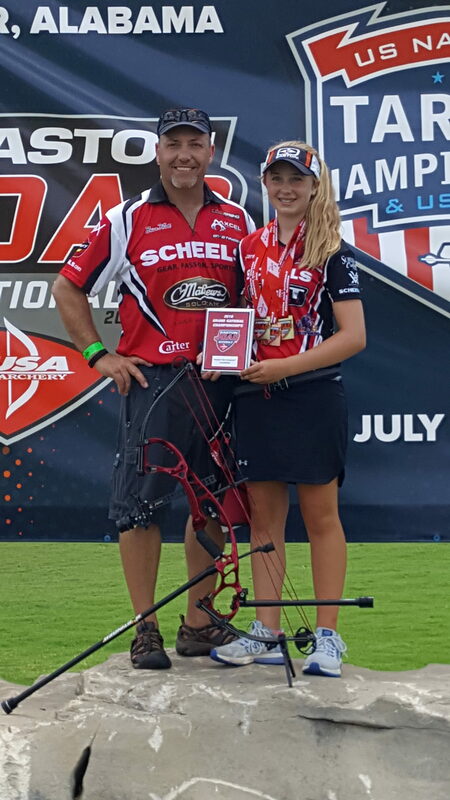 18 countries entered the full quota of 3 archers into the qualification round, thus becoming eligible for the team competition. 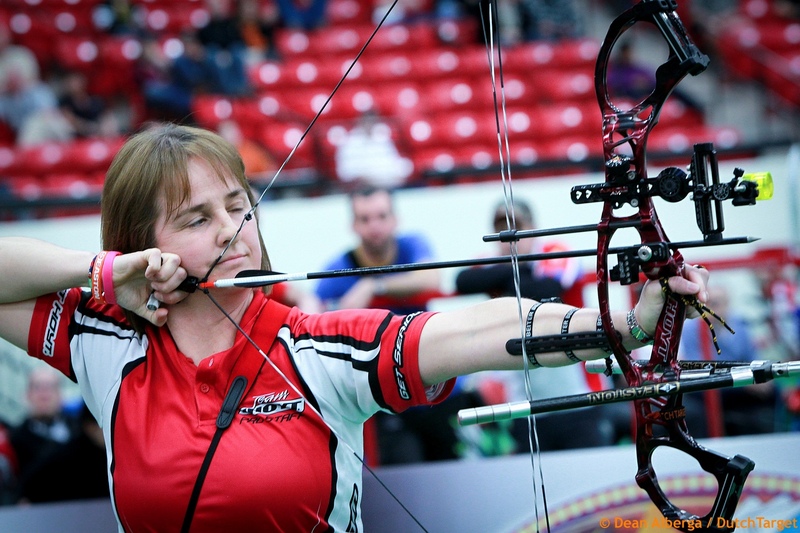 The combined totals of the 3 archers from each country in the qualification round were added together, and the 16 teams with the highest combined scores competed the elimination rounds. The gold medal was won by second seed Colombia. 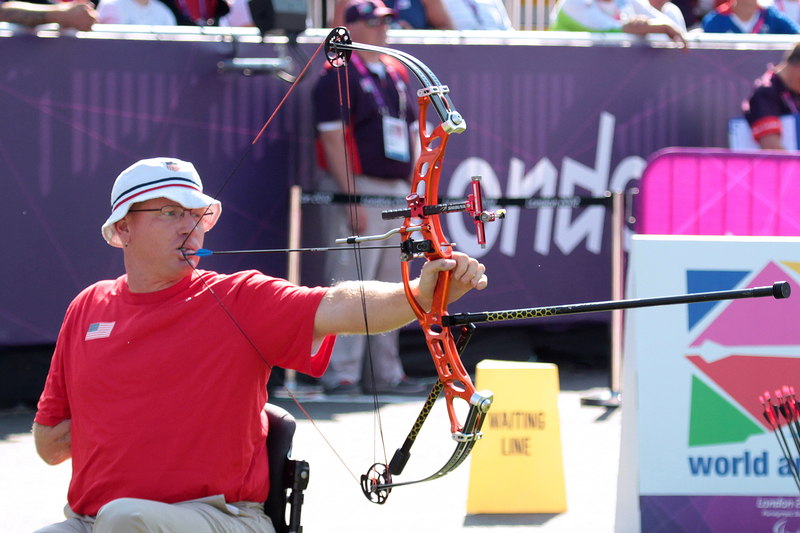 Jeff Fabry (born April 14, 1973 in Hanford, California) is an American amputee and Paralympic archer. He won bronze medals at the 2004 Summer Paralympics and the 2008 Summer Paralympics, and a gold medal at the United States at the 2012 Summer Paralympics. He became disabled after he lost most of his right arm and right leg in a motorcycle accident when he was 15. He credits his wife for getting him into the sport. He is also the father of two children. 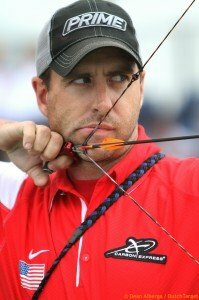 Dave Cousins (born April 16, 1977), is an American compound archer and former number one ranked compound archer in the world. He held the FITA 720 world record with a score of 712 until it was broken by Canadian Dietmar Trillus. Dietmar’s record stood at 713 until it was beaten by Liam Grimwood in July 2011. He is considered one of the best archers to ever live, having shoot the most 1400 gents fitas recorded in history by one archer. 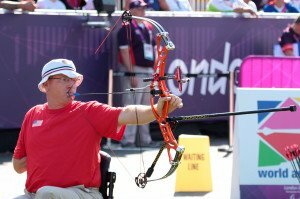 He has competed several times at International Archery Federation (FITA) world championships in the men’s compound division. He finished 2nd in 2003 at the 42nd World Outdoor Target Championship, 18th in 2005 at the 43rd World Outdoor Target Archery Championships, 9th at the 9th Indoor Archery World Championship in 2007, and 33rd at the Archery World Championships in 2009, in 2010 he won the world field championships held in Visegrad Hungary. He was last ranked number 1 in the world by FITA on June 20, 2005.